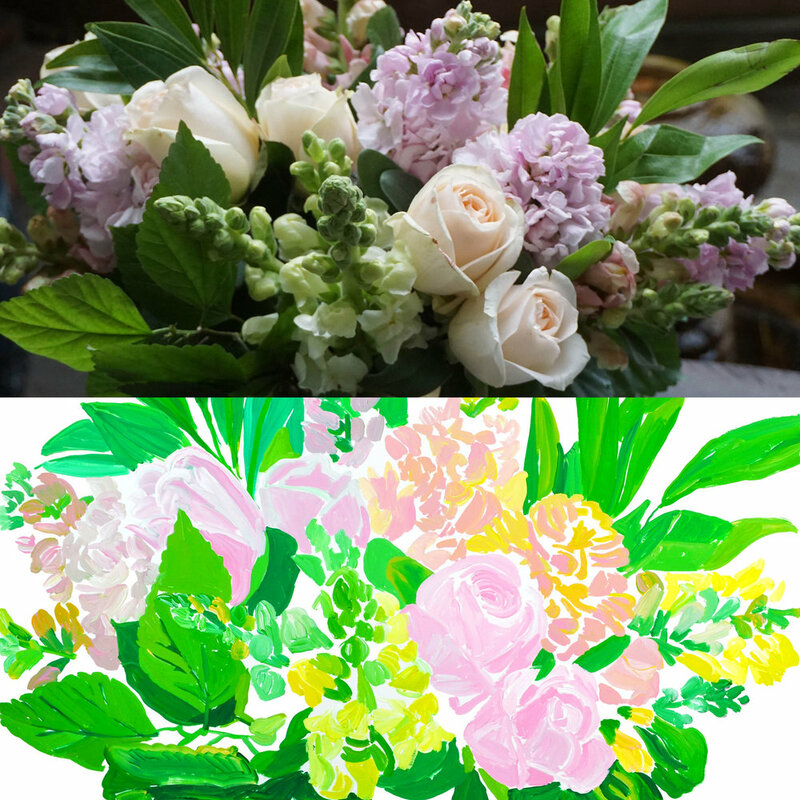 I have begun to collaborate with floral designers and flower shops. Images from their Instagram and Pinterest accounts provide me with so many great painting ideas! Most recently, I found @TheFlowerChef through Instagram. I reached out to the owner, and together we chose the above floral arrangement. Check out my rendition above. The Flower Chef recently published a beautiful book on how to create flower arrangements. I was surprised to see her book for sale at the grocery shop Ere Whon in West Hollywood. It can also be purchased on Amazon.